Amanda Owen, better known as The Yorkshire Shepherdess, shares the books that have inspired her, from James Herriot to Beatrix Potter. 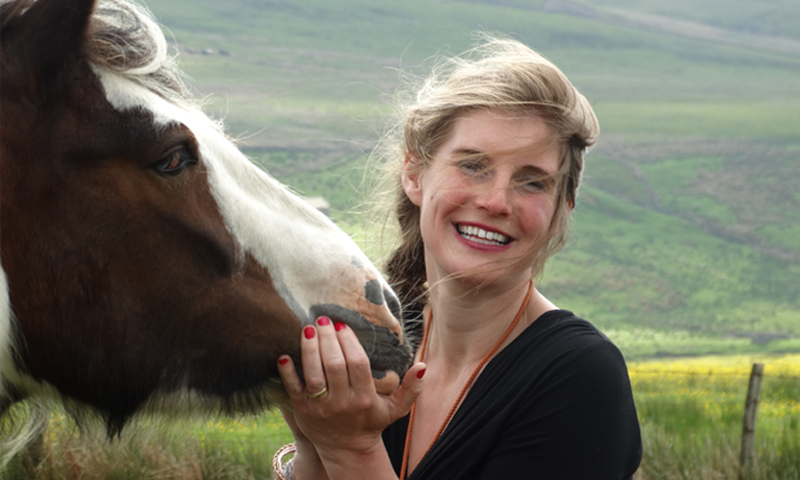 Amanda Owen, better known as The Yorkshire Shepherdess, shares the books that have inspired her set in Yorkshire and beyond, from James Herriot to ​Beatrix Potter. I believe certain books can map out your life. They can take you somewhere - that’s what James Herriot’s books did for me. Last year was the 100th anniversary of the birth of Alf Wight, who wrote under the pseudonym of James Herriot. Macmillan reprinted the first volume of his memoirs and asked me to write the foreword. I was so honoured. My grandfather had given it to me when I was 12. Herriot’s adventures as a young country vet in Yorkshire spoke to me and I thought, That’s the life for me. I grew up near Huddersfield and spent a lot of time immersed in books, dreaming of a more rural life. I used to go to the library, but when I was given book tokens for Christmas, I’d get a new book all for myself. This was the first Roald Dahl book I bought and I was hooked by the romance of Danny’s life—living with his father in a gypsy caravan, poaching pheasants. I read it to my own children now. I borrowed this beautiful, raw photographic book from the library so many times I got nasty reminders from them! I’m a big believer in fate— when I moved to our farm in Swaledale, my husband Clive bought me my own copy. Looking through this book that had meant so much to me, we found him in one of the photographs. Everything in my life was meant to be. I must have read all her books to my children! I like the fact that they’re illustrated – the pictures are so detailed. They’re very simple stories mainly about animals. This one is about a sheepdog on a traditional working farm, so I love how the children can relate to it. This is about the life of a gypsy. Living where I do, having horses, I’ve always been fascinated by gypsies. My farrier recommended the book to me. It’s very countryside orientated but what I particularly love is reading about life in the not so distant past. When I was a child I was read a book about Romani people. I remember finding out that if a daughter dies, they would burn their caravan. It really captured my imagination and stuck with me. This is just one I’m currently reading to my children! I don’t think I could ever tire of the lovely drawings. They might be old fashioned but the little pictures and stories really resonate with us. It’s that history aspect, as I think for a story to really grab me, I have to be able to relate to elements of it. That’s why I can’t read sci fi! From bestselling author and star of Countryfile, Amanda Owen, come more tales of life at Ravenseat, the remote Yorkshire hill farm she shares with husband Clive, eight children and 1,000 sheep. In her new book, she describes the age-old cycles of a farming year and the constant challenges the family faces, from being cut off in winter to tending their flock on some of Yorkshire's highest, bleakest moors - land so inaccessible that in places it can only be reached on foot.